Let's make transit actually work for people. There's no question: it's almost impossible to live in our neighbourhood without a car. I can say this with confidence; after all, Devon and I did it for two years. Grocery trips required careful planning (and a taxi ride home). I spent fifty minutes on the bus each day, and she spent fifty minutes walking through the industrial park — and working continental shift, she'd have to go at all hours of the day, in all weather, and at times (like Sunday nights) when the buses don't even run. There weren't any other options for us: I was a full-time student, and we lived just close enough to her work to make it feasible. After the latest bus route overhaul, my bus commute jumped to 80 minutes per day, and I bought and fixed up an old truck. If we'd lived any further away from Devon's work, we never could have gone without at all. All this to say: for all the efforts we've put in, to study transit and engage the community, transit still doesn't work for the people who need it. I will support a real, effective re-alignment of transit, which takes advantage of the recent high-density development at Elmira and Paisley to support a transit hub at the West End Rec Center and an east/west express route. I will push for real Sunday service that actually allows workers in the industrial park to rely on transit. 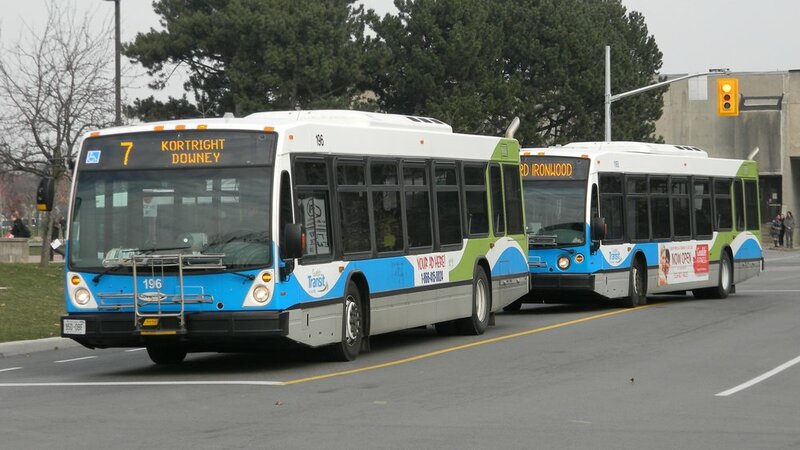 I will ask city staff to investigate purchasing smaller and more efficient neighbourhood buses, saving full-size buses for routes that actually need that capacity. I will expand our city services reporting system, and ask city staff to track and report all late buses and all route cancellations separately. And most importantly, we need to restore public faith in the transit service. I will champion the creation of a Guelph Transit app, to communicate bus positions in real-time, notify riders about cancellations, and (with user permission) record actual ridership route data to further optimize service. Image credit: user 8215Andrew, Wikimedia Commons.